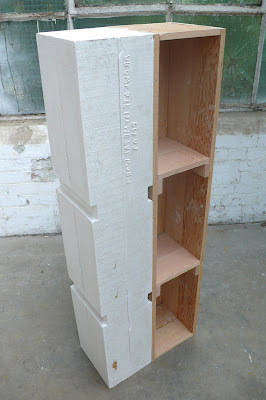 The unit is flipped around and both sides are usable as a bookshelf. 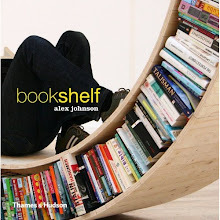 The title is reversable and named after Ron Arad's metal bookworm shelf. While his is sinuous this is a simple architectonic block.